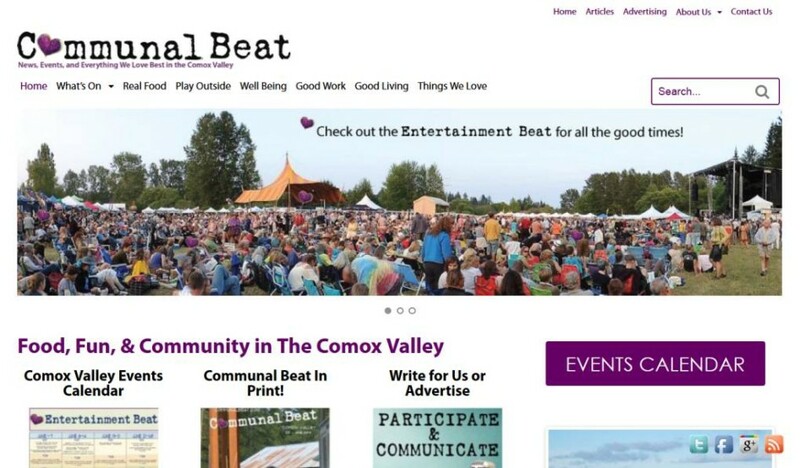 Communal Beat is a new print newspaper in the Comox Valley. Their companion website needed to be attractive, upbeat, and most importantly ready on time for their print launch. The site was ready and very well-received, and its local Events Calendar provides a useful resource to the whole community.